for underline in extended text modes. Fix bug 1531060 - metaserver selection button is improperly activated. there is either text in the text box or something selected in the treeview. to deselect treeview if data is entered in textbox. updated. Wrong variable was being used in loop. cpl.ob->inv_updated appears to work fine. to make sure splash is drawn correctly. some menu items before metaserver selection, and to enable them after. bug 1551395 where savewinpos command does not work. display empty server if the default server is null. code to process extended text message tags. is now stored away in a structure, harder to get to that variable. gtk-v2: Fix bug 1528540 - if metaserver window is closed, client is unusable. another hook to last commit. gtk-v2/gtk-v2.glade: Add callback for destroy event on metaserver window. gtk-v2: Fix bug 1530024 - errors when manually closing a window. gtk-v2/gtk-v2.glade: Add callback for destroy event on main window. if server is set, use that as default to connect to. out code that makes image fixed width. gtk/image.c gtk-v2/src/image.c gtk-v2/src/opengl.c: Remove superfluous casts. Change "if(ptr) free(ptr)" into "free(ptr)". client would hang and consume all CPU time. need for #ifdef WIN32 in many places. of length parameter passed to getsockopt() to be a socklen_t. common/external.h: Add extern void client_tick(uint32 tick). common/image.c: load_image() so that its fourth param (checksum) is a uint32. be uint8, add casts as needed. casts and update some types within the program. common/player.c: Change a buffer from char to uint8. the gtk function they are passed to isn't declared that way. FMT64. Removed const from title declaration. for image creation for tabs. 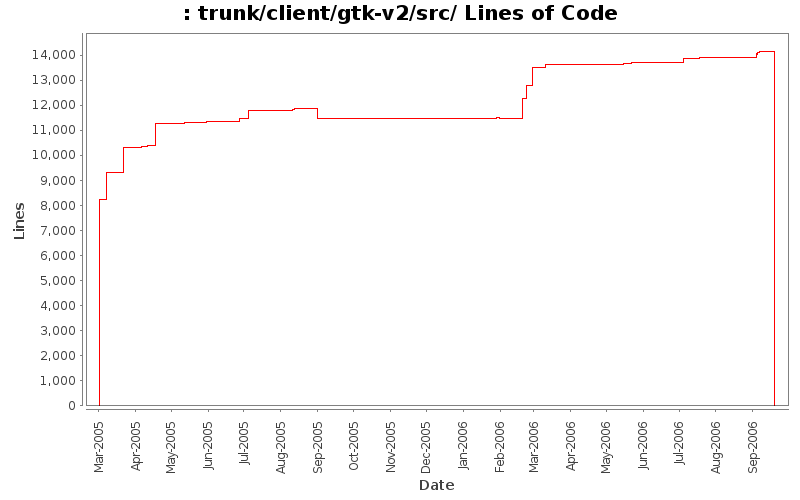 gtk-v2/src/stats.c: Replace %lld with FMT64. the function tha uses this data expects. that it isn't popular, and placement of the popups needs to be fixed. and doesn't make any sense give the power of even very slow cpus now. configuration dialogue if you have an empty gdefaults2 file. This commit adds client side support for the map2 & tick protocol commands. to request to use the tick and map2 commands. MAX_MAP_OFFSET to match the value on the server. map2 protocol command. Do some whitepsace clean of ExtSmooth(). common/init.c: Add seeing of random number generator. common/mapdata.c: Rewrite CLEAR_CELLS macro to handle additional layers. setting data in the map2 command. of layers. Add animation data to MapCellLayer. common/newclient.h: Add various defines related to the map2 data. do_timeout() to not do animations if we are getting tick data. do_timeout() to not do animations if tick is set. when it finds the head, does not draw each piece. x11/xutil.c: Add basic client_tick() that is a callback from the common code. weight, or by item type (click on the icon for item type). statbar area so there is a pane between stat bar and stat notebooks. Change statbars so they resize smaller/larger. gtk-v2/src/callbacks.h: callback for on_save_window_position_activate() added. table definitions so columns are sortable. behavior due to overlapping strings passed to strncpy(). window because only the options that affect the gtkv2 client are presented. common/client.h: Add CFG_LT_NONE to use instead of 0.
gtk/config.c: Add some logic to handle 'sdl' legacy config mode. gtk-v2/gtk-v2.glade: Updated with new config window. gtk-v2/src/main.c: Add call to config_init() to initialize config window. Update for 1.9.0 release. Fix some makefiles so that make dist works. common/client.h: Add meta_on, alt_on to player structure. menubar, text box for metaserver window. gtk-v2/src/gtk2proto.h: rebuilt for new function definitions. gtk-v2/src/interface.c: Generated by glade for new features. gtk-v2/src/main.c: Remove unused extern declartions. gtk-v2/src/menubar.c: Add function for disconnect menu item. connection logic (pulled from on_treeview_metaserver_row_activated(). Add on_metaserver_text_entry_activate() for text entry server connections. in opengl not being able to create a context.